These aren't the best pictures in the world, since the owner of this car came later in the day and there was a lot of work that he wanted done on his car, so by the time I finished, it was already fairly late in the day. The owner of this car drove from San Diego up to me in Anaheim Hills / Orange County to get the vinyl work done. 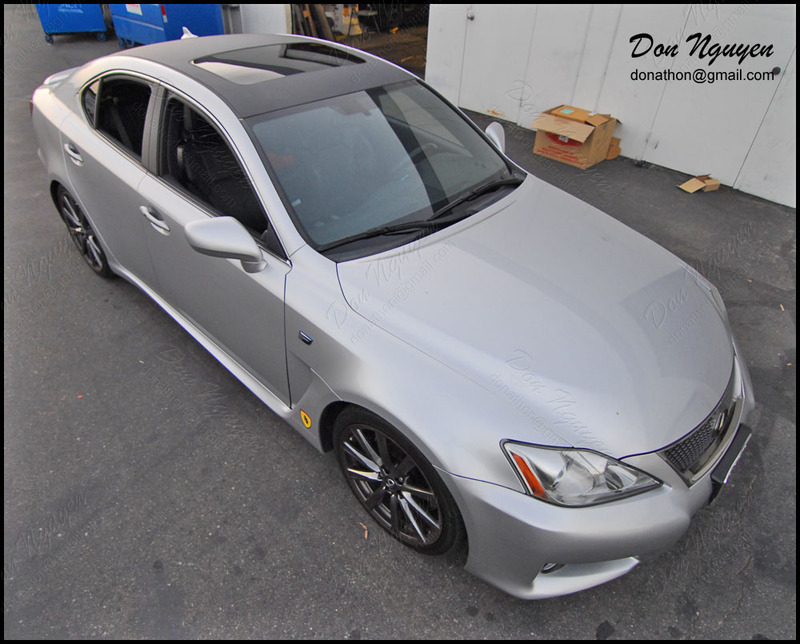 He wanted me to vinyl wrap his roof, roof spoiler, front splitters, side B pillars, and rear lower bumper diffuser all in the 3M di noc matte carbon fiber vinyl material finish. Personally, I do not like wrapping rear diffusers, but since the owner of this car was getting a lot of other work done, I decided to do it for him/his car.